Genome-wide methylation analysis of foxtail millet cultivars contrastingly differing in salinity tolerance revealed DNA demethylation events occurring in tolerant cultivar under salinity stress, eventually modulating the expression of stress-responsive genes. Reduced productivity and significant yield loss are the adverse effects of environmental conditions on physiological and biochemical pathways in crop plants. In this context, understanding the epigenetic machinery underlying the tolerance traits in a naturally stress tolerant crop is imperative. Foxtail millet (Setaria italica) is known for its better tolerance to abiotic stresses compared to other cereal crops. 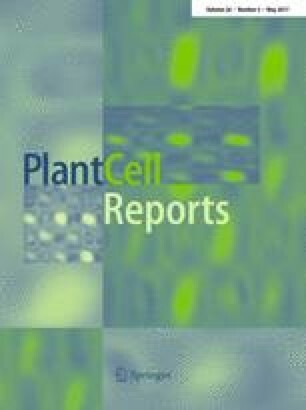 In the present study, methylation-sensitive amplified polymorphism (MSAP) technique was used to quantify the salt-induced methylation changes in two foxtail millet cultivars contrastingly differing in their tolerance levels to salt stress. The study highlighted that the DNA methylation level was significantly reduced in tolerant cultivar compared to sensitive cultivar. A total of 86 polymorphic MSAP fragments were identified, sequenced and functionally annotated. These fragments showed sequence similarity to several genes including ABC transporter, WRKY transcription factor, serine threonine-protein phosphatase, disease resistance, oxidoreductases, cell wall-related enzymes and retrotransposon and transposase like proteins, suggesting salt stress-induced methylation in these genes. Among these, four genes were chosen for expression profiling which showed differential expression pattern between both cultivars of foxtail millet. Altogether, the study infers that salinity stress induces genome-wide DNA demethylation, which in turn, modulates expression of corresponding genes. The online version of this article (doi: 10.1007/s00299-016-2093-9) contains supplementary material, which is available to authorized users. The present work is supported by the core grant of National Institute of Plant Genome Research (NIPGR), New Delhi, India. Dr. Chandra Bhan Yadav acknowledges the award of Young Scientist Research grant from Science and Engineering Research Board, Govt. of India, New Delhi. Ms. Garima Pandey and Mr. Mehanathan Muthamilarasan acknowledge the award of Senior Research Fellowship from University Grants Commission, New Delhi, India.